What does your perfect travel day look like? Over the years, I experienced so many wonderful days of travel that I find it hard to pick one out. When I was 16 years old, I spent one day with my mother on Bora-Bora. 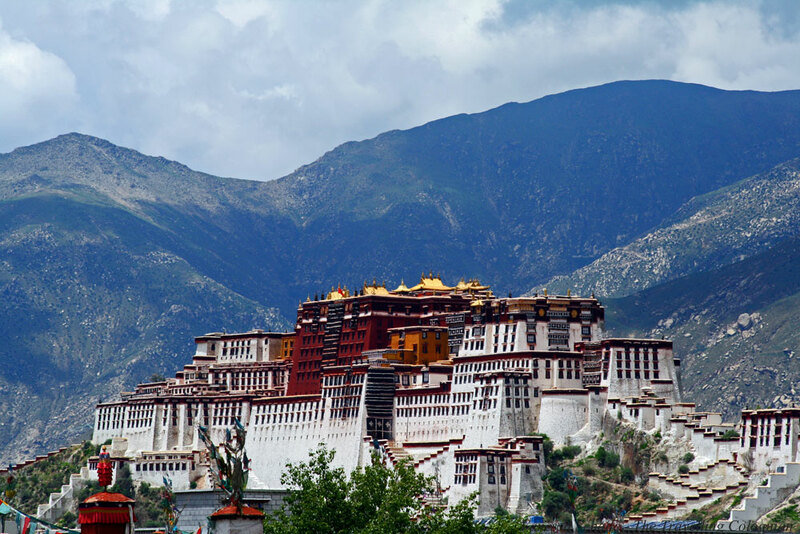 In Lhasa, on my second day in the capital of the Tibet Autonomous Region, along with a small, international, very fantastic tour group, our American tour leader – who is now a good friend of mine – and our local Tibetan guide, I explored the Potala Palace and the Sera monastery which is located just outside Lhasa. On the banks of the Kinabatangan River in Sabah in Malaysian Borneo, I saw a herd of pygmy elephants, including an elephant baby, just a few meters from our boat. On one of the days during my first visit to Beijing, I visited the Forbidden City and Tiananmen Square, two of the major tourist attractions in the Chinese capital, and strolled through one of the hutongs in the afternoon, mingling with the locals. 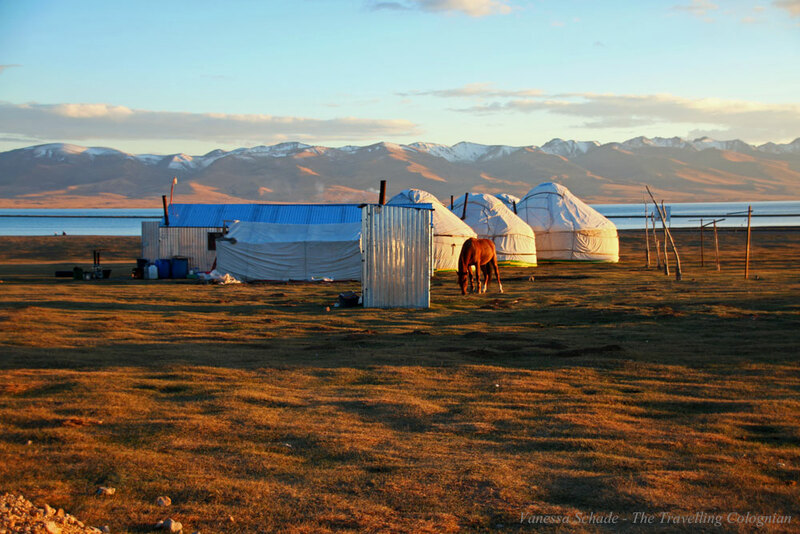 The Accommodation: Hotel, Yurt, Homestay & Co. Formerly, I used to sleep in hostels on a regular basis and had no problem sharing a room with three, five, seven or nine totally strangers. 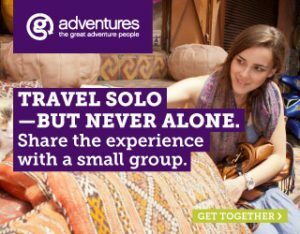 On my first solo trips at the age of 17, 18 and 20, I even found it incredibly exciting. Since my late twenties I have not quite as solid sleep and I also appreciate my privacy. 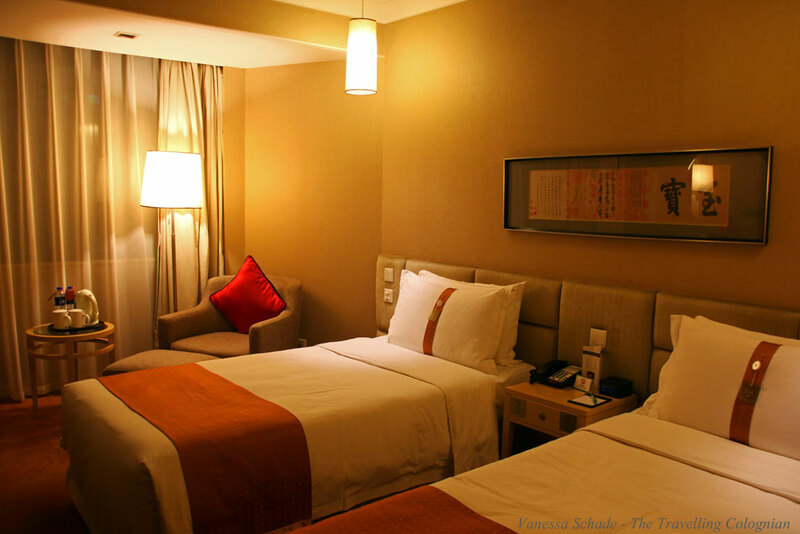 Since single rooms in hostels are often just as or even more expensive than in hotels, I often book a hotel room. 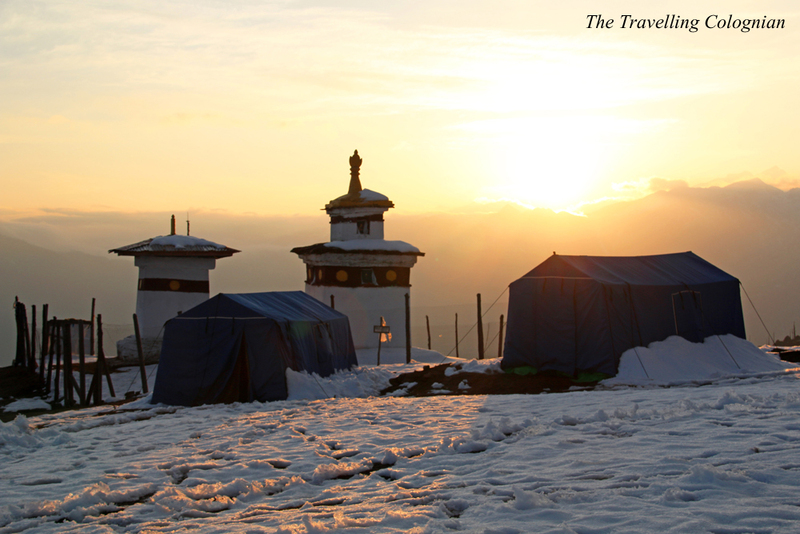 But I also like to sleep in exceptional accommodations such as yurts, homestays, longhouses and tents. There, I do not mind sharing the room. 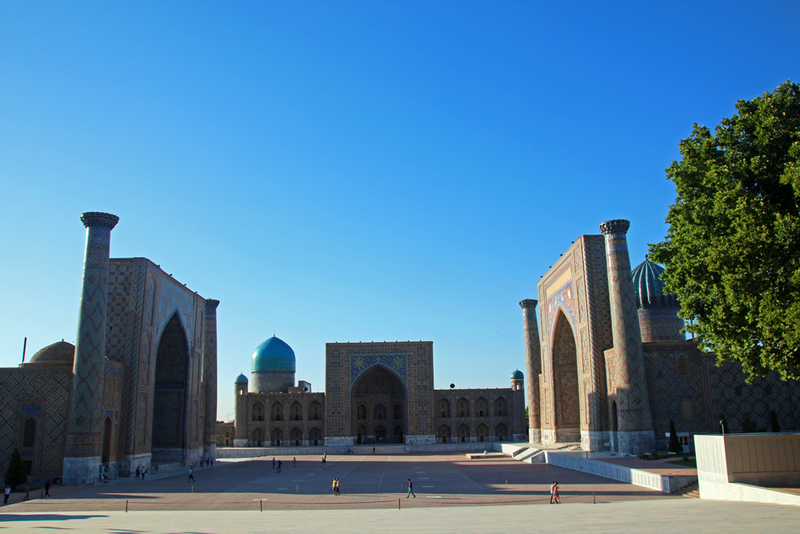 On my recent trip through Kazakhstan, Kyrgyzstan and Tajikistan in September, I shared rooms with two Australian and one Canadian females during two homestays in Bokonbayevo, Kyrgyzstan and in the Fann Mountains in Tajikistan. At Songkul, a mountain lake in Kyrgyzstan, which is located at an altitude of 3016 meters above sea level, our Kyrgyz tour guide Lilya also moved into our yurt. 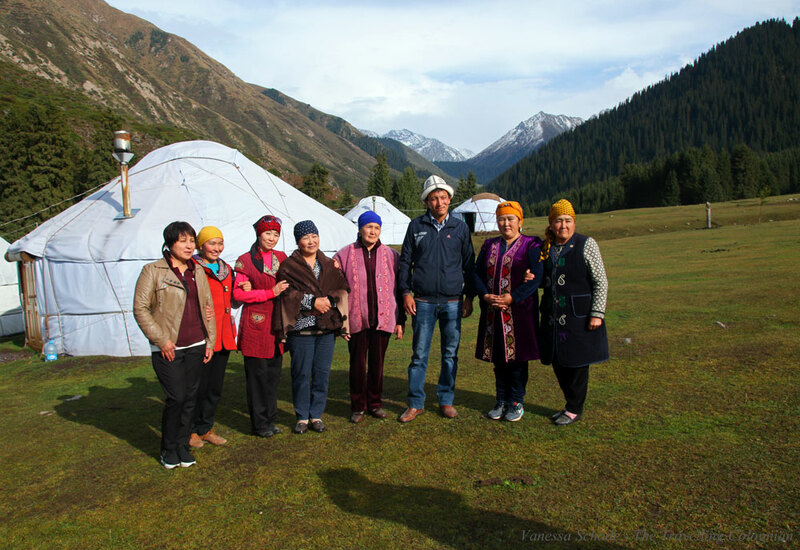 In Jeti-Oguz, also Kyrgyzstan, I shared the yurt with two Canadian couples. Moreover, I spent several nights in sleeper trains in Thailand, Vietnam, India, China and Uzbekistan. A few nights have remained in a particular positive memory to me. I spent my first night train ride in Eastern China from Beijing to Shanghai in a compartment with a South African family and my Chinese tour leader, who also became a friend after this trip. Even after the main light was automatically extinguished, we sat together and talked. 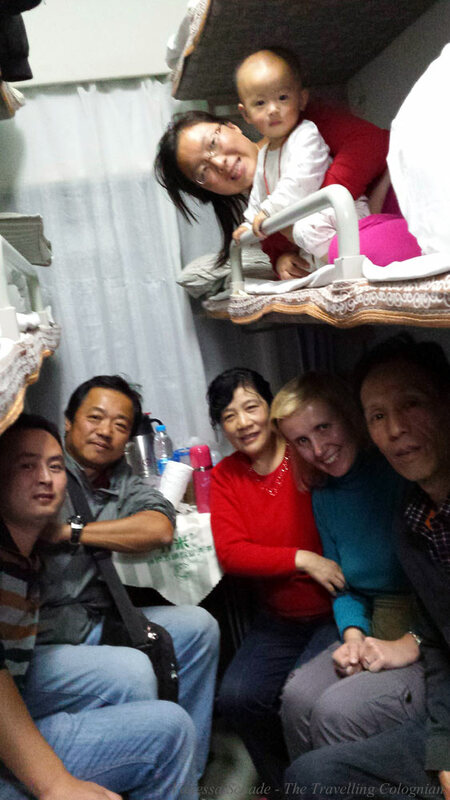 On my journey along the Chinese Silk Road, I was the only non-Chinese in the wagon. I got along well with the locals even without a common language. 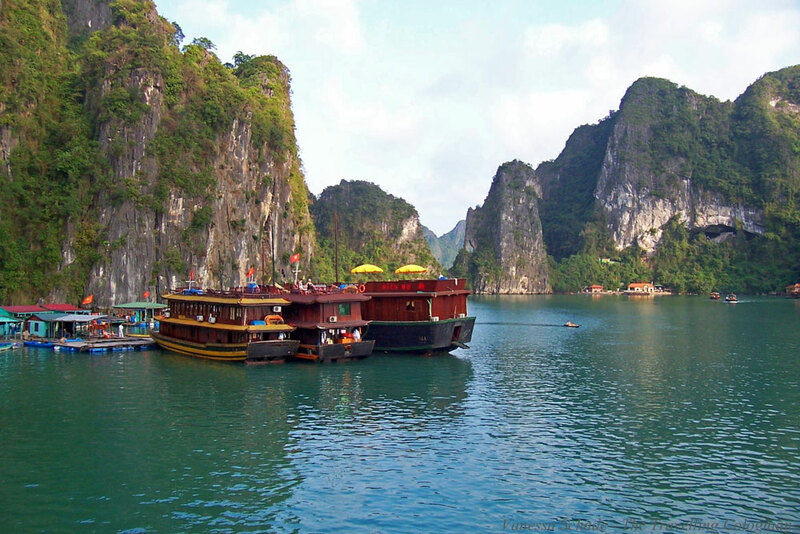 Also very special were the nights I spent on a junk in Halong Bay in Vietnam and on a cruise ship on the Yangtze River, the longest river in China. On the Yangtze, my group and I sang karaoke at the bar of the cruise ship, like our Chinese fellow travellers, and then watched from the deck as the ship descended the river. I travelled to Halong Bay twice, the first time alone, the second time together with my boyfriend. It was overwhelming to watch the sun set between the karst cliffs on deck and then lie in bed in the cabin and listen to the water which splashed against the boat. Breakfast is the most important meal of the day for me. Ich frühstücke jeden Tag, auch wenn ich arbeiten muss. At the weekend and when I travel, I like to take my time for it. I do not need an opulent meal, I really like fresh fruit, an omelette or muesli. Of course, I also appreciate a good breakfast buffet. Bread rolls, cold cuts, jam, cheese & co. do not end up on my plate when I travel. I like to try the local cuisine already for breakfast. 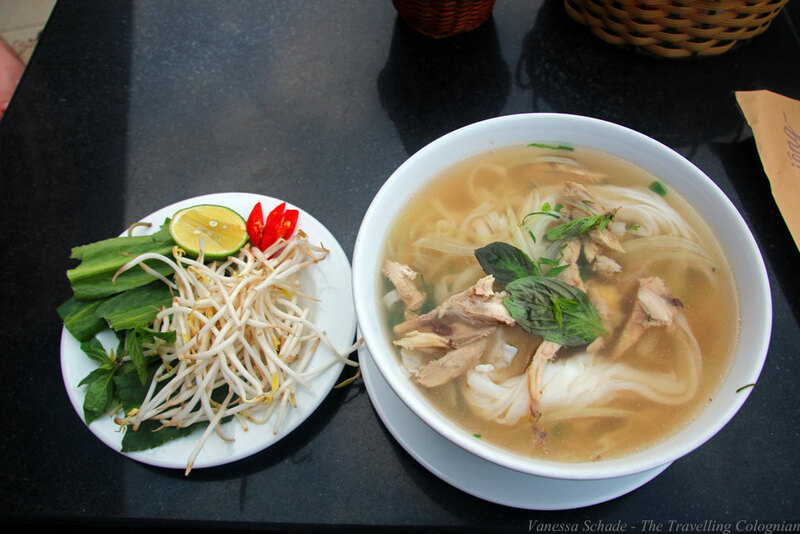 In the morning in Vietnam, for example, I regularly ate a bowl of pho, as the Vietnamese rice noodle soup is called. In Dubai, I tried oriental specialties already for breakfast. During my Chinese studies at Renmin University in Beijing, homemade Jiaozi -filled pasta dumplings -, alternate soups or wafer-thin filled pancakes were an integral part of my morning menu. When I travel alone – and this is often the case – I do not like lying on the beach. The last and only time I ever tried this was in Southern Thailand in May 2013 after my first trip to East China and it was not my thing. When I travel with my boyfriend, I find a few beach days very nice and relaxing, but overall I like being active. 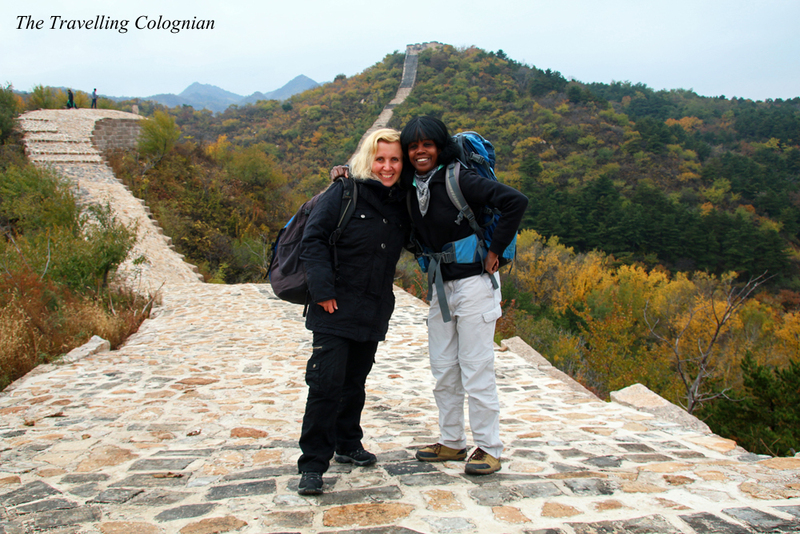 In Beijing, I like to go hiking with my American friend, who works there as a hiking guide for the local agency Beijing Hikers. 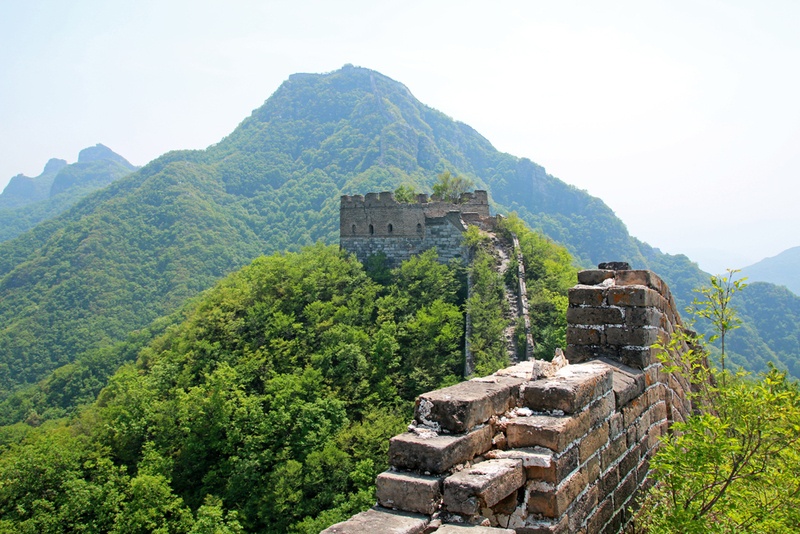 Together, we have been on the Great Wall in Gubeikou and on the Great Wall Spur, climbed the western part of the Jiankou section and admired the autumn colours of the trees and bushes while wandering along the Longquanyu Great Wall. 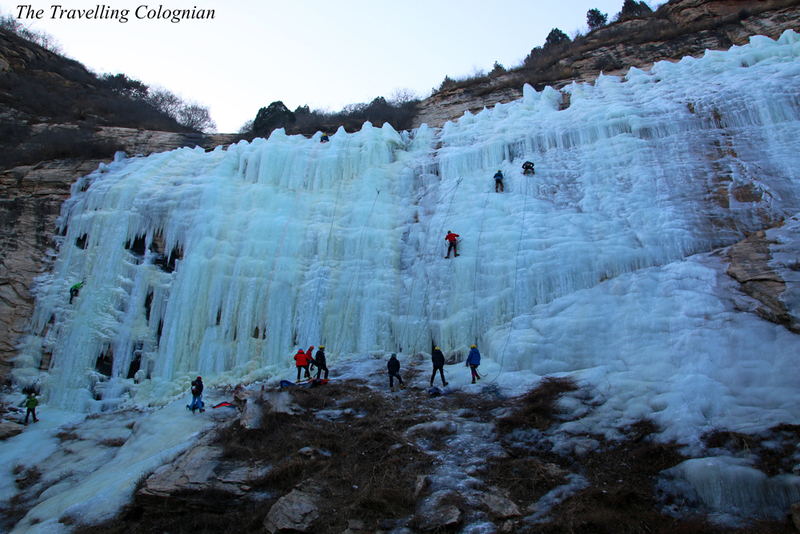 Last year on New Year’s Eve, we did a hike past nine frozen waterfalls, which also led us to a large stone Buddha head and a viewpoint from which we had a magnificent view of the valley. 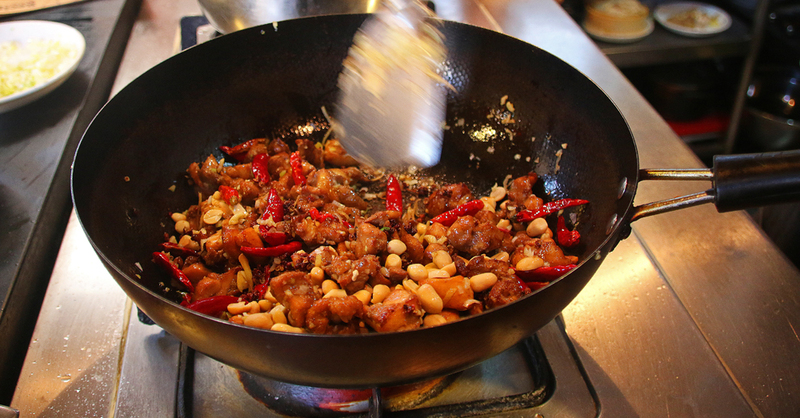 Since I like to cook and prepare foreign dishes at home, I enjoy to take cooking classes when travelling. 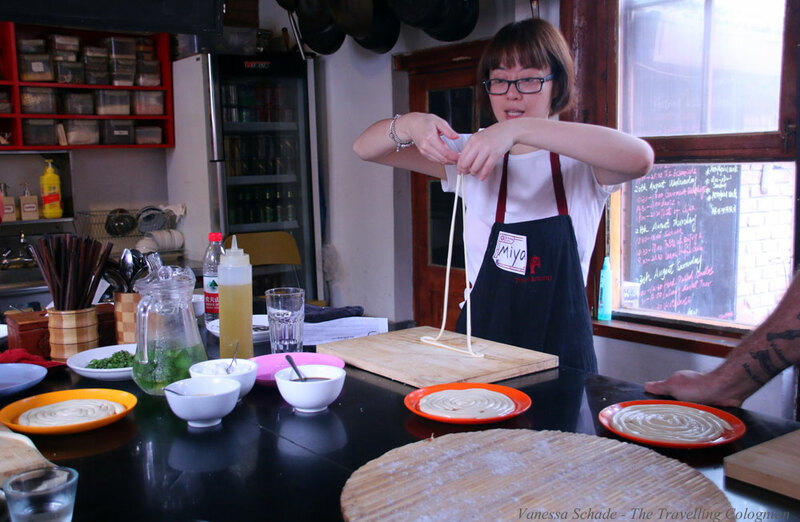 So I have already taken two cooking classes in Chiang Mai in Northern Thailand and one in the slum of Khlong Toei in Bangkok, one in Hoi An in Vietnam, two in Yangshuo in Southern China and five in a cooking school in a hutong in Beijing, including a Yunnan cooking class and one in which we learned how to prepare handpulled noodles, a specialty of the northwestern Chinese Xinjiang province. Of course I also do sightseeing on my travels, no matter whether I travel individually or on adventure trips with a small group. 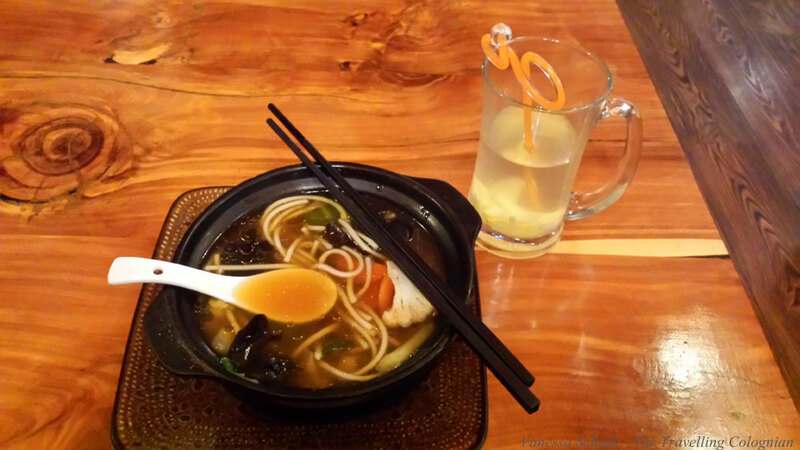 When I travel solo, I love to take my time and let the respective place take on me. 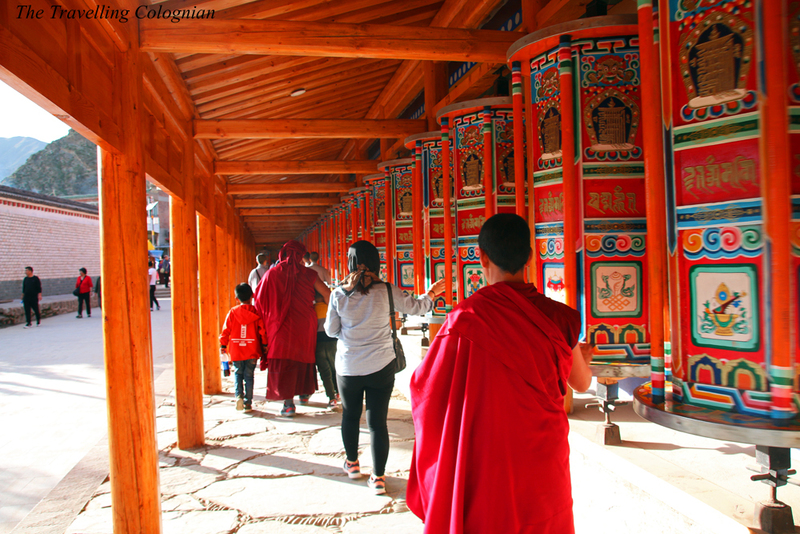 After my trip through Tibet in August 2010, I really wanted to visit Labrang Monastery, a major Tibetan monastery in Xiahe in the Chinese Gansu province. In the first week of October 2017, I had the opportunity for that. First, I took the offer of the monastery to take a free English-speaking tour of some temples, before I walked through the complex on my own unhurriedly and took the opportunity to take lots of photos. 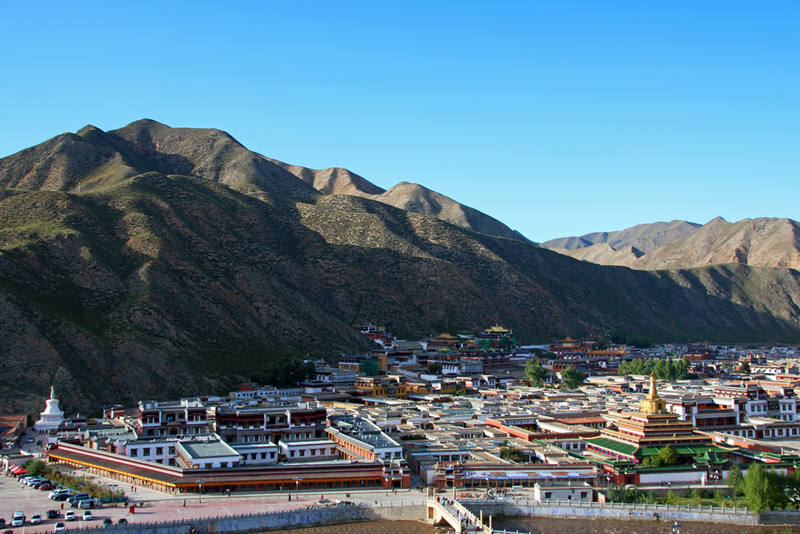 Since the weather was pretty bad that day and Labrang Monastery is relatively large, I went to my nearby hotel in between to warm up with Hot Pot and hot tea. 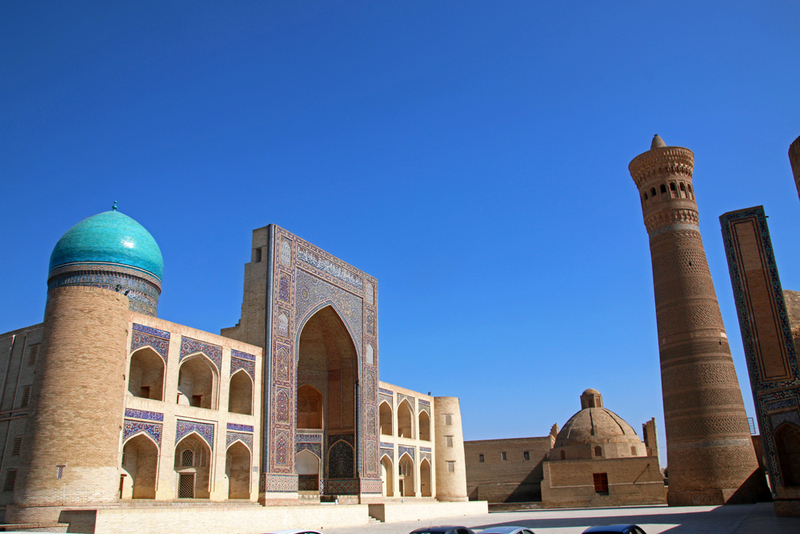 I was also deeply impressed by the medressas, mosques and mausoleums of Samarkand and Bukhara, which I visited during my Uzbekistan trip, together with a small group. After the guided tours with the group we had time to explore the places and sights individually, which I used to visit further attractions that were not part of the tour program by myself. I like to end the day with locals or nice people from all over the world, especially in special places. I especially enjoyed the two evenings in the yurts in Kyrgyzstan, where we sat together in the dining yurt in Jeti-Oguz and in our yurt at Songkul Lake. In Wadi Rum in Jordan, we went on a night walk in the desert with our local guide, collected firewood and then sat together around the campfire we had lit ourselves. Also in the yurt camp in the Kysylkum desert near Aydarkul lake, I was sitting around a campfire with my group and some locals, listening to their songs. In the Iban Longhouse in the rainforest in Sabah in Malaysian Borneo, I spent the evening with a Canadian fellow traveller, the inhabitants of the Longhouse and their neighbors. In Varanasi in Northern India, I took a boat trip on the Ganges during the sunset. 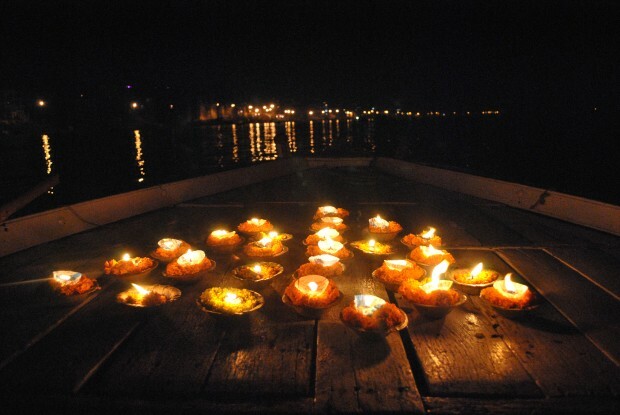 After dark we lit candles on the river and watched the nightly burning of the dead on the Ghats how the steps leading down to the riverbank are called. This article is part of the blog parade with which Sabine von Ferngeweht celebrates the fourth anniversary of her travel blog. Congratulations. Thanks to Barbara’s contribution, I was inspired not just to pick a day, but to describe what I love on my travels and which experiences turn a beautiful into a perfect day. If you would like to accompany me virtually on my travels, subscribe to my latest posts via my RSS feed or follow me on Facebook, Twitter, Instagram and Google+.